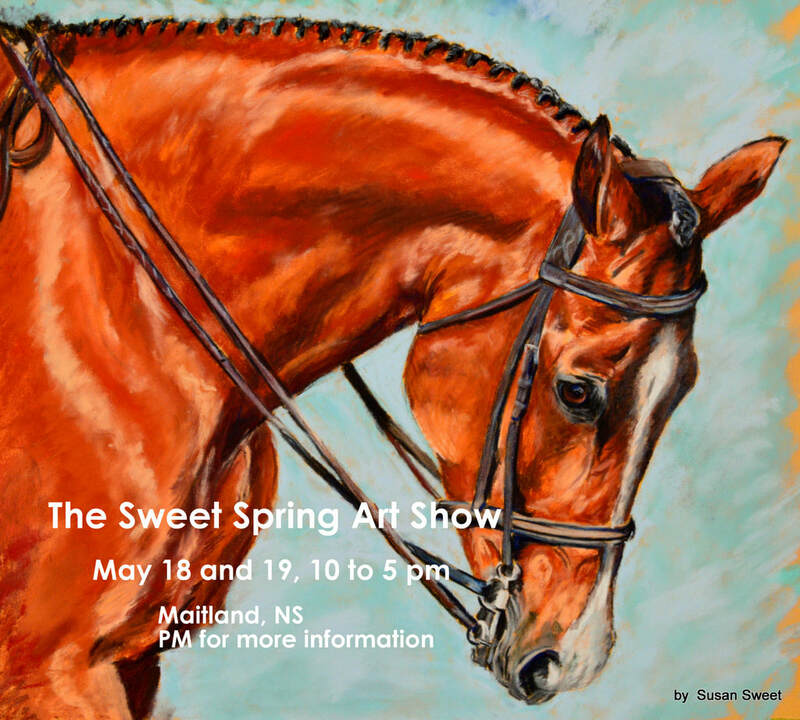 Looking forward to my annual SWEET SPRING ART SHOW here in Maitland May 18 and 19. 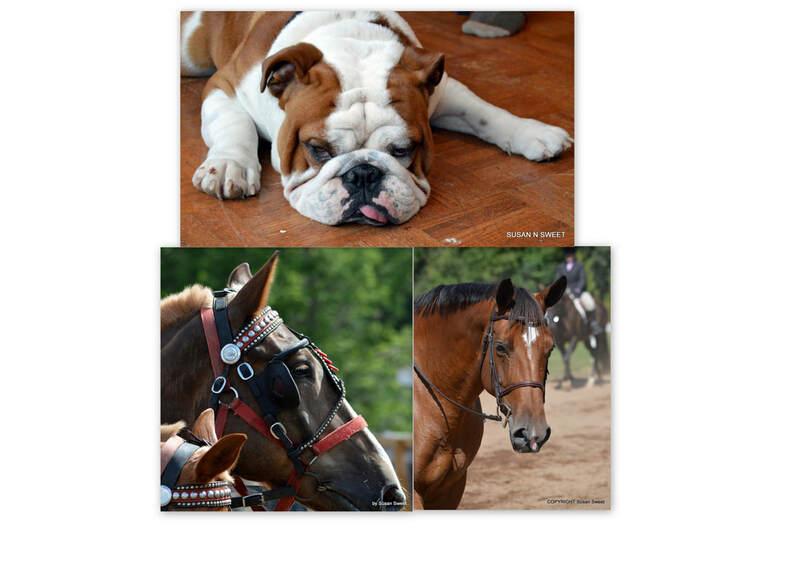 I have guest artists booked, potter Lois Golfman, photographer Deneen Newport and card designer Helen Painter. There will be lots of new paintings from me, and a special SPECIALS corner, surprise bags, snacks and a chance to meet studio cat BOBBI NORTH! 10 to 5 pm both days. Orders are coming in now for custom gift projects. Please contact me through my contact page here or on Facebook for more information about a custom painting project you are thinking about! 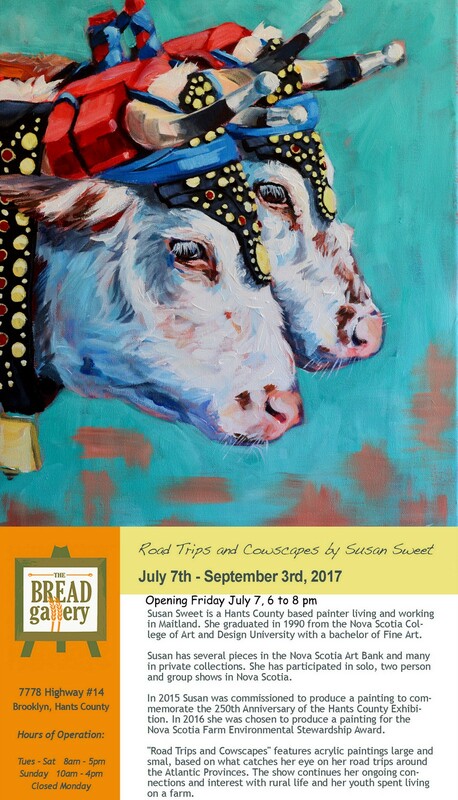 Looking forward to a summer show at The Bread Gallery, scheduled for July and August with an opening reception tentatively set for July 6. I am working on new work for this show. There are also new smalls at Made in the Maritimes and soon to Drift in Lunenburg. Windsor Makers has 4 of my pieces until end of June. Looking forward to May 19 and 20. I will be hosting my annual spring Open Studio event. Looking forward to a winter of producing a new body of work. Currently work can be seen at Made In the Maritimes in Bedford and Halifax, Drift in Lunenburg and through my home based studio. Planning for a show in summer 2018 and an open studio on the long weekend in May. Contact me for information on gift certificates! Available in any amount and for both custom portraits and ornaments as well as my own available paintings. 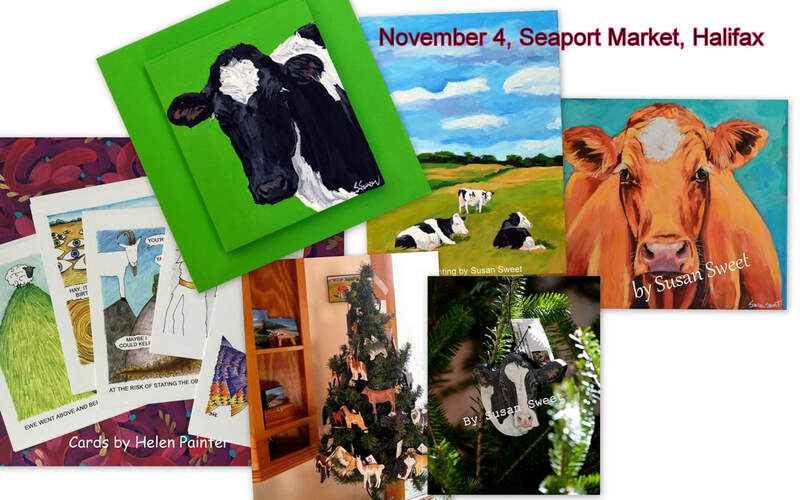 November 25 is my next and final day at the Seaport Market for this year. 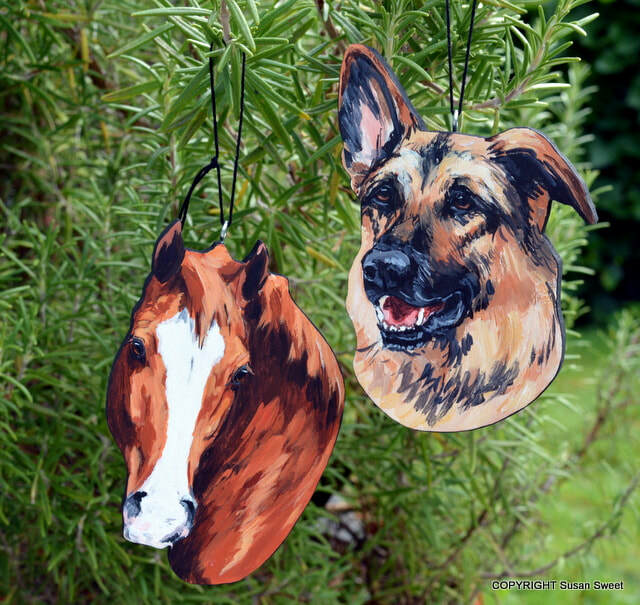 I will be again selling cards for Helen Painter and am bringing some ornaments and small farm animal paintings. That will be the final week that I am able to accept custom orders for 2017 completion, so if in the area, stop by and talk about your own project. Mark November 4th on your calendars! 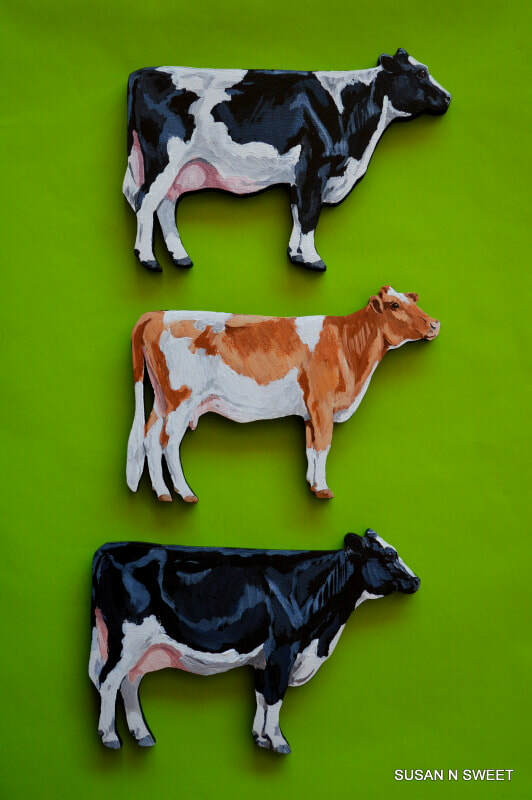 This will be the return of my cows to the Seaport Market in Halifax. 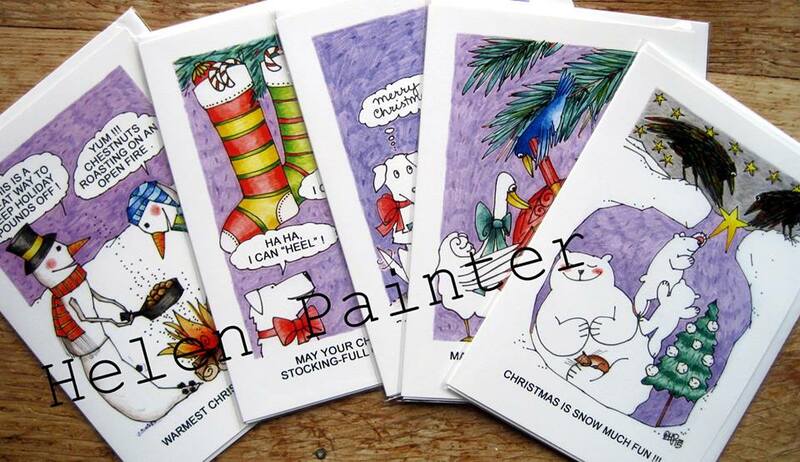 I am pleased to be working that day, selling the awesome line of greeting cards for my pal Helen Painter, and will have a small display of my own paintings too. 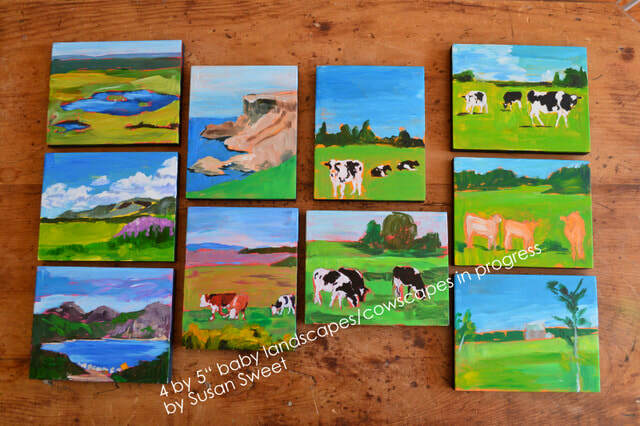 Look for some small paintings, a few larger ones, and some of my Christmas ornaments. Stop by and chat about your own ideas for a Christmas Commission! Hoping to see some friendly faces. 7am to 2 pm at the Seaport, downtown Halifax. A lot going on this autumn. 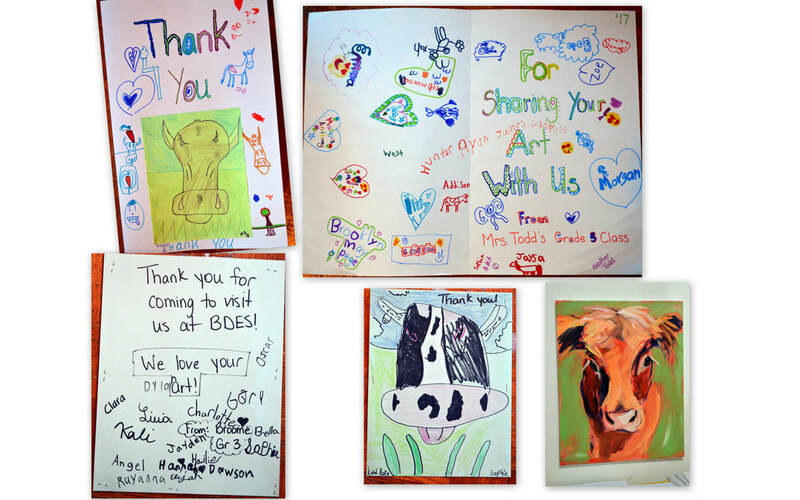 Including a morning visit to Brooklyn District Elementary School on October 12 to visit the Grade 3 classes and do a cow painting demonstration. The Grade 3 students all study a local artist, and I was chosen to inspire them with their own cow art. 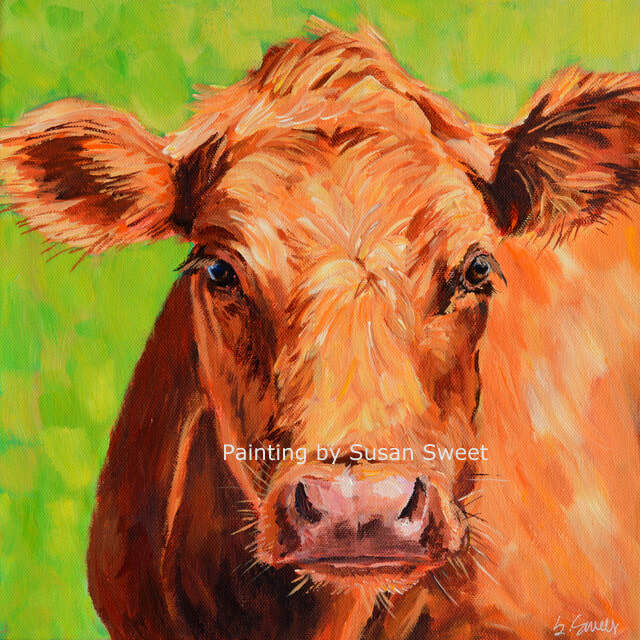 It was a fun time and a new painting started, hopefully to finish soon so the students can decide what name she should have! I was thrilled to be presented with hand made thank you cards and other gifts. Had a great day at The Hydrostone Cultural District on Saturday September 16 at Paint the Hydrostone, sponsored by Made In the Maritimes Artisan Boutique and 14 Bells Art Gallery. About a dozen artists created paintings and artwork and the finished products are for sale at the shops. Mine are at Made In the Maritimes. 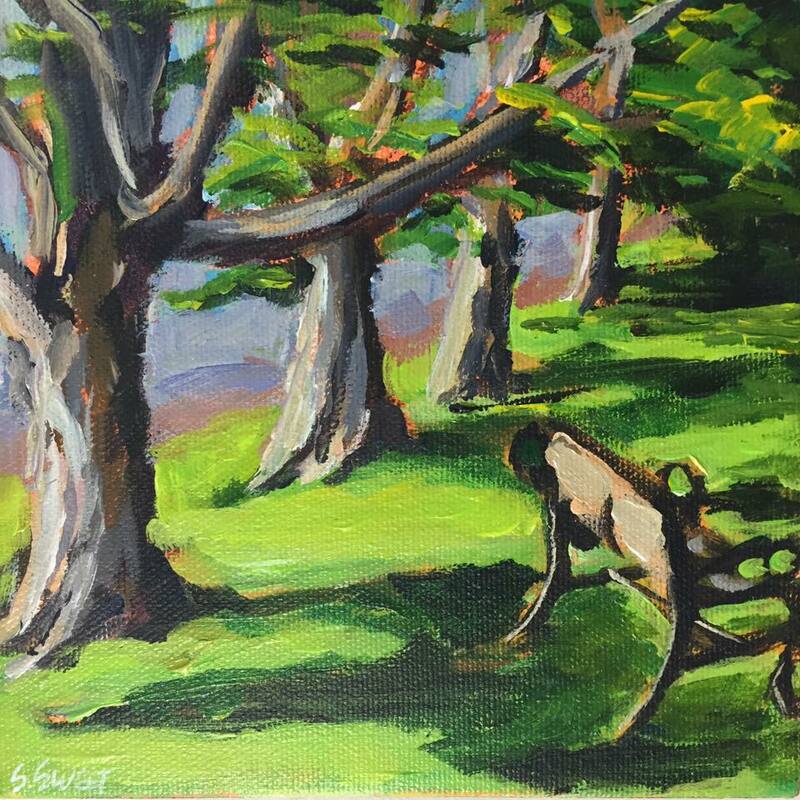 I will be demonstrating a work on pastel at Gallery 215 on Friday August 25, 11 am to 3 pm. Gallery 215 is at 8247 Highway 215 in Selma, Nova Scotia. At the Bread Gallery until September 3. The show is winding down as summer starts to fade. just a couple more weeks to get in to see it. 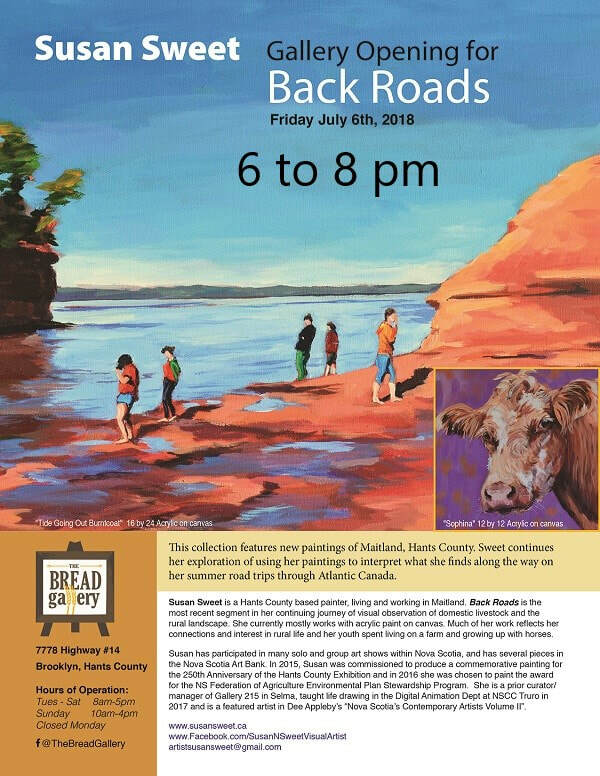 Upcoming show at the Bread Gallery. "Road Trips and Cowscapes". Opens July 7 at 6 pm. Brooklyn, Hants County.